In some countries, Armed Forces Day is celebrated as a public holiday, and Honduras is one of them. Armed Forces Day (Army Day) in Honduras is observed on October 21 to honor and recognize the country's military. 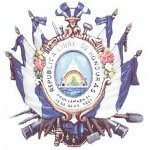 The Armed Forces of Honduras were created in 1825. During the 20th century, the country's military was strongly involved in the political life, as Honduran military leaders frequently became presidents, either through elections or by coups. The country returned to civilian rule in 1979, and the role of the Armed Forces somewhat changed, although they still posses a considerable political authority. Honduran Armed Forces consist of three branches: the Army, the Navy, and the Air Force. The number of active personnel is estimated at 25,000. Honduran soldiers are involved in law enforcement and crime prevention, patrolling the streets alongside the police. As of 2012, Honduras had the highest military budget among all Central American countries. Honduran Armed Forces Day is a national holiday widely celebrated across the country. Most of the festive activities are carried out in the capital city of Tegucigalpa. They include a military parade and solemn official ceremonies.